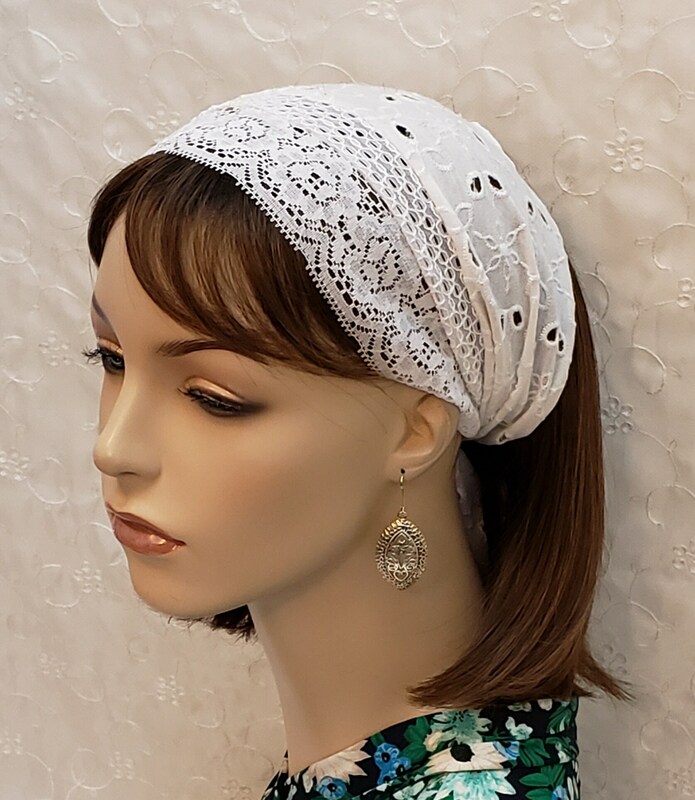 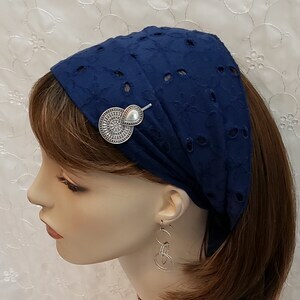 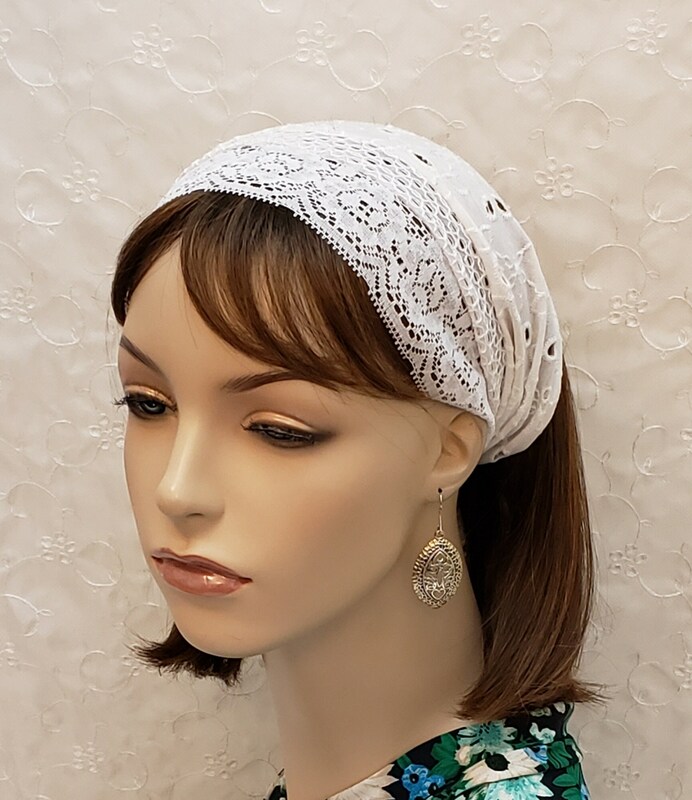 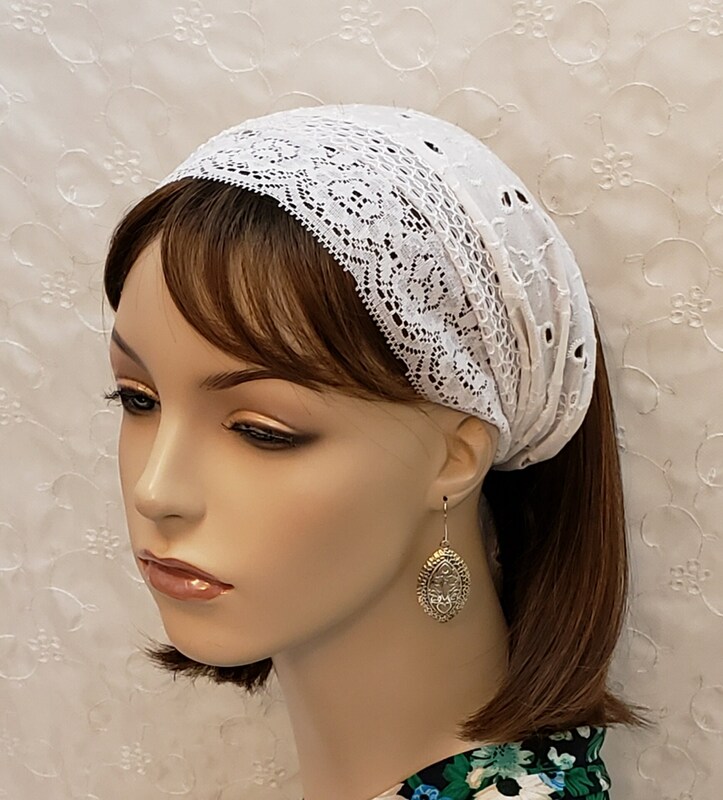 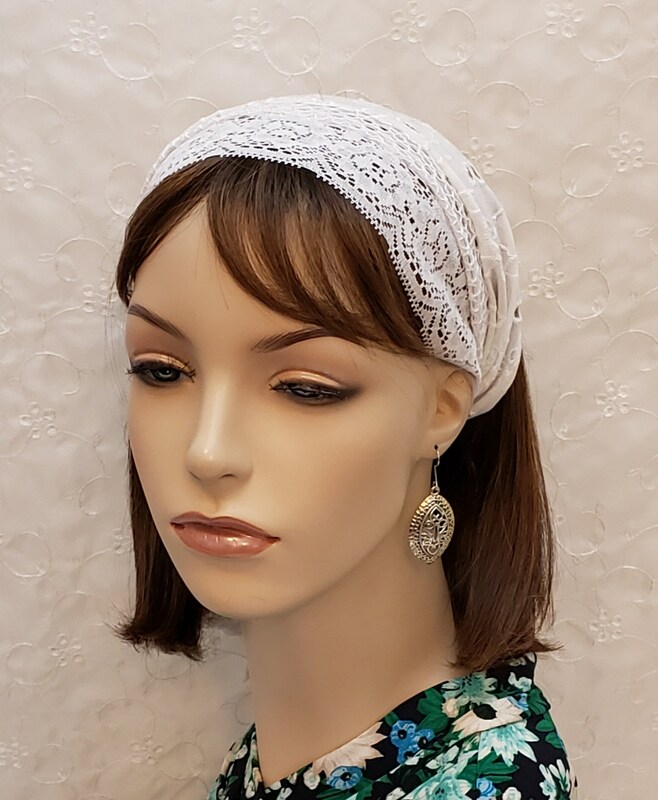 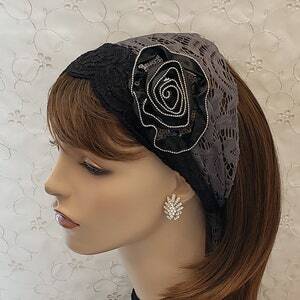 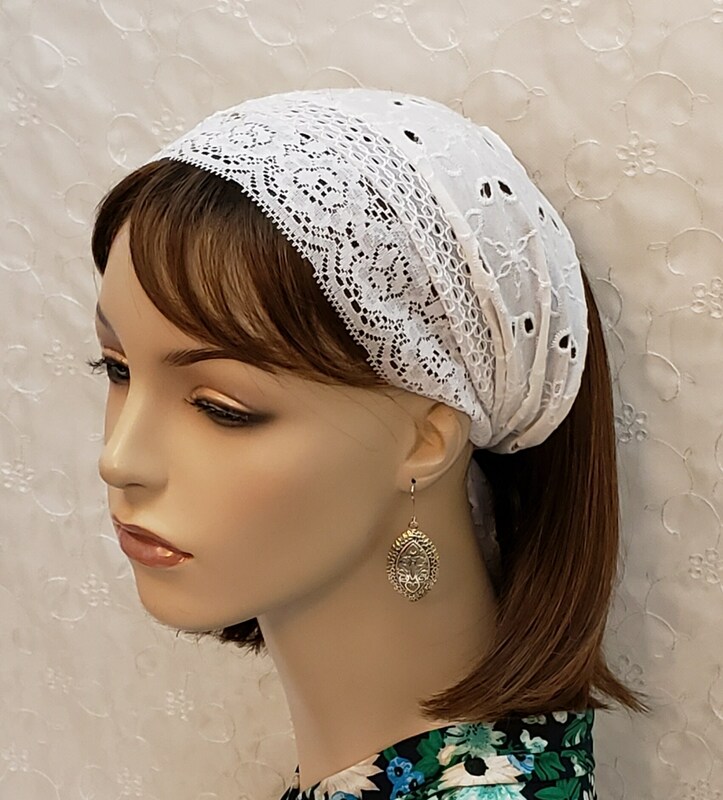 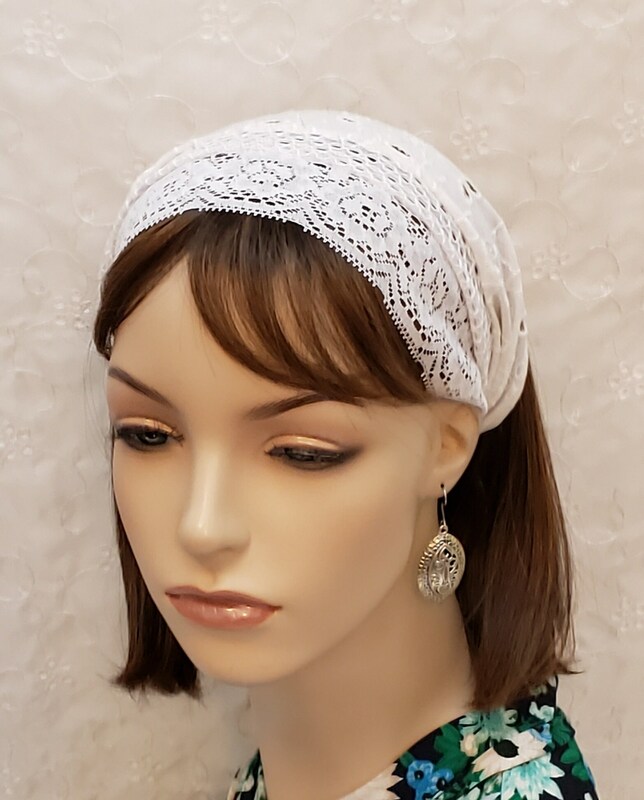 Pretty eyelet and lace part stretch headband! 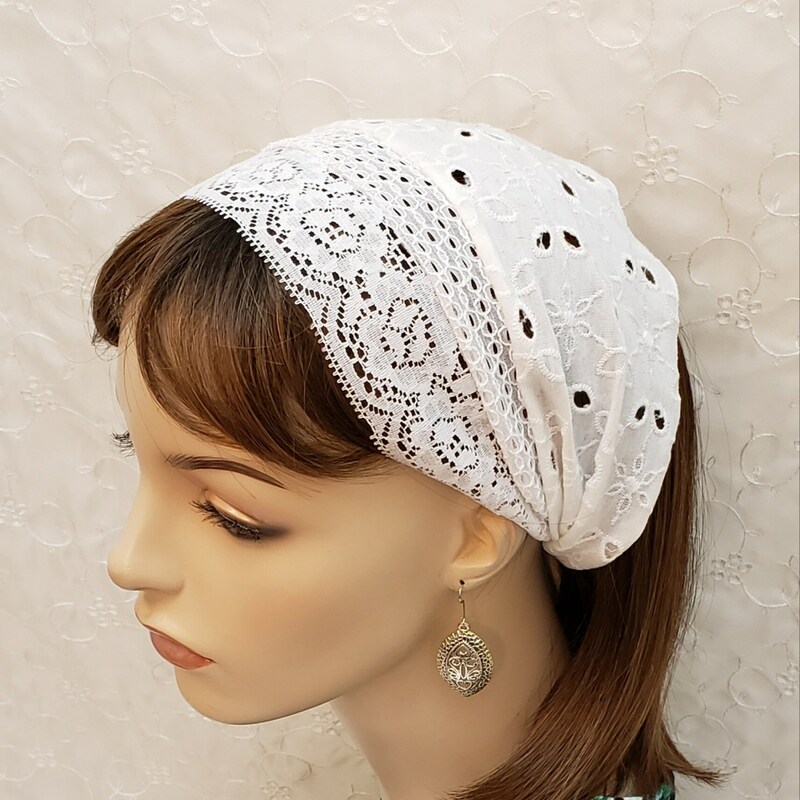 Featuring three patterns of eyelet/lace, the first two in white and the back part in light cream/winter white. 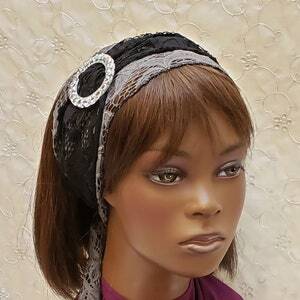 The ends are tapered for a comfortable fit and less material to tie. 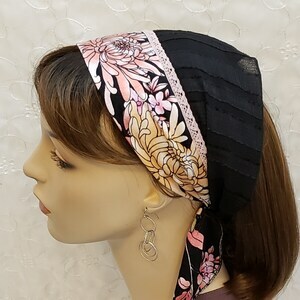 The 2 laces in the front do not stretch, however, the eyelet lace does stretch and that is the fabric that is tied in the back.